It was February 2006 and we were expecting our second baby, we already had one beautiful three year old girl (Lydia) who I carried and gave birth to with no problems earlier, so we were expecting this one to be a breeze as my pregnancy had been going so well. I even had in my head that depending what time he would arrive that I would have one sleep in the hospital then come home with my completed family, nothing prepared me for the fact that my new son and I would not be home for nine long weeks! 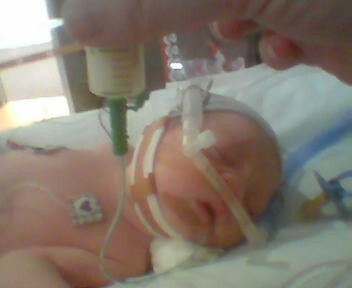 Our son Ethan Lee decided to finally meet us at 1.17 in the morning of February 18th 2006 at Waitakere hospital, (Auckland, New Zealand) He was nine days late. The birth itself got a little stressful near the end with Ethan getting a little distressed and it wasn’t known that he was facing upwards till he finally came out with the help of vacuum extraction, so the darling had so much pressure on him which did not help matters! Anyway he was out and we thought things were ok, except we started to notice that Ethan seemed a lot more quieter than when his sister was born, but it was later at 3.45 that we realized something really wasn’t quite right, his movements became really lethargic and he wouldn’t feed, he was getting whiter and whiter and started rolling his eyes, he felt cold against me! The midwives rushed him off to the paediatricians in SCBU to check him out because he wouldn’t warm up all while still trying to reassure me that all would be ok. The wait to find out what was happening seemed like forever, I didn’t know how to feel I just went numb! Then all of a sudden the doc comes in my room looking really concerned, “your son needs a urgent blood transfusion” he explains that they are not sure what is causing the problem but they have to act fast as his platelets and red cells were dropping really fast. He handed me some consent forms to sign. At this stage my body and mind still feel numb but my heart feels like its about to burst out of my chest. The first few days were rough, not knowing what way things were going to go, and it was even mentioned that if he pulled through he could be brain damaged. The doctors seemed very confused! Myself, I was fighting the baby blues with a side of depression whilst trying my hardest to stay strong! It was not easy. Here is a list of ethans problems that they discovered which was a hell of a surprise! 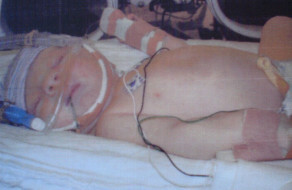 I was also told that hopefully the problem would burn itself out within a couple of weeks, as usually with blood disorders when the babies own immune system kicks in when they go through their spotty stage, but unfortunately in Ethan’s case this didn’t happen. His first full blood count came back at Hb 80 and platelets of 33. Further tests after this got much much lower, sometimes his platelets dipped below 10, whenever his Hb dipped in the 70s you could always tell just by his pale like paper complexion, I was to learn later also that this was unusual as well as when you lose you red cells like that you would normally become very jaundice! But Ethan was a very strange case for them. Ethan has my blood type of O+ but my husband’s antigens. When this was realised they tried to match better blood to be transfused but yet his cells kept declining. He was on a very bumpy roller coaster of ups and downs, just when you thought it may be getting better, BANG it took another huge dip! In those first 9 weeks Ethan Lee endured so much including MRI scans, ultra sounds, xrays, surgeries for semi and permanent lines, bone marrow testing, numerous heel and finger pricks daily and even a severe blood infection, in total the blood bank supplied 54 units of platelets, 20 units of red cells 10 units of Intravenous Immunoglobulin and 1 unit of plasma, without those donations Ethan would surely not be with us now and we cannot thank the donors and the team involved in his care enough, we will be forever grateful. In week nine Ethan was having transfusions spaced further apart though his cells still were getting gobbled up fast but he was stable enough to go home, so off we went to show Ethan his home, coming back to hospital every few days for his blood top up, But just when it felt like it would never stop all of a sudden it was like Ethan thought to himself, “hey home is pretty neat, I might stop losing my cells now cause its more fun here!” and just like that his cells stopped disappearing and his levels started to grow and grow and grow, that was about week 14. It was finally over! 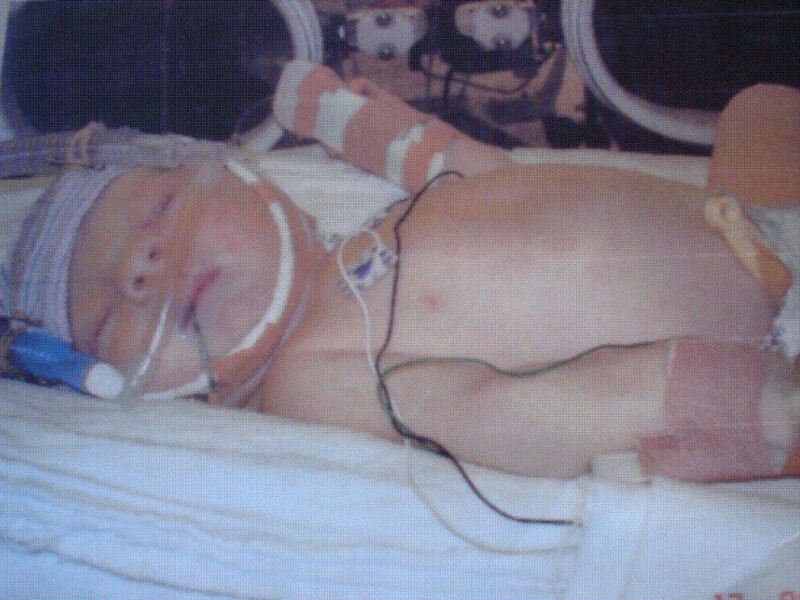 Is blood was strong and his organs had gone back to a normal size and absolutely no sign of brain damage, just a beautiful baby boy with a few scars as a reminder of when Ethan beat the odds and won. Our son is now a healthy strong five year old with a heart of gold! We only have half the story for what Ethan went through, one day we may find the full answers but for the half we do know he is part of the NAIT family! We felt so alone for so long so finding others who have gone through a similar experience as us has helped although reading their stories has been tough also, I have shed many tears reading them, its amazing how five years have past but those old feelings can come in an instant like its just happened, the unknown can be very scary! There has not been one day that has past that I haven’t thought about what happened, but I am very grateful things worked out. For myself the thought of having another baby that could be as sick as or worse than Ethan ( I was told there was an 80% chance) was enough for me to decide that I could not put another baby though what Ethan had to endure, and also emotionally I could not cope again with it. and I am very fortunate to have already a beautiful daughter Lydia and my brave battler Ethan Lee. I have also battled with endometriosis for so long so at age 32 I opted for a hysterectomy, and I am ok with that! Im just so grateful for what we have! I really cant thank everyone involved in Ethans care enough, the donors the doctors the nurses, the midwives many times also becoming a shoulder to cry on, the overseas specialists who where contacted many times to help with his treatment, our family and friends, There was so much love for Ethan and I know it helped him! Thankyou to all Ethans angels! I hope more is learnt about this condition. 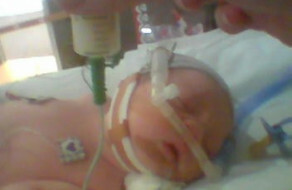 And my heart goes out to every other family who has been affected by NAIT, Much love to those truly brave babies!